Product prices and availability are accurate as of 2019-04-21 23:32:43 EDT and are subject to change. Any price and availability information displayed on http://www.amazon.com/ at the time of purchase will apply to the purchase of this product. 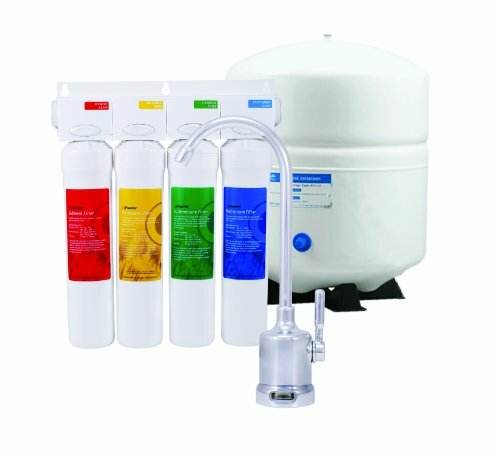 The RO Pure Reverse Osmosis System consists of four separate stages. Stage #1 - Five Micron Sediment Pre-Filter that traps particulate matter like dirt, rust, and silt that will affect the taste and appearance of your water. Stage #2 - Five Micron Carbon Block Pre-Filter that helps ensure a greater reduction of chlorine and other materials that cause bad taste and odors. 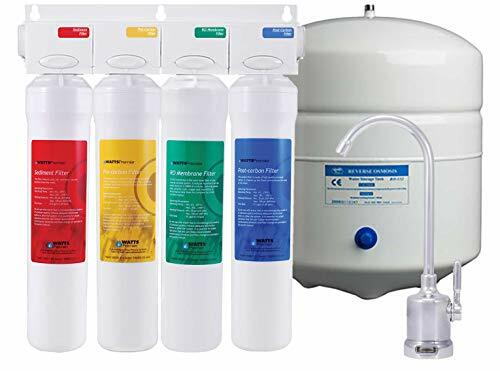 (The first two stages are called Pre-Filters because they filter in front of the Reverse Osmosis Membrane). Stage #3 - The 50 GPD Membrane is the heart of the Reverse Osmosis System. 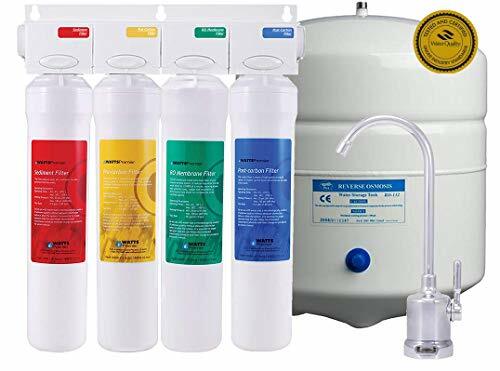 This semi-permeable membrane will effectively reduce TDS (total dissolved solids), Sodium and a wide range of contaminants such as Lead, Percolate, Chromium, Copper and Radium. It will also remove over 99.95% cysts such as Giardia and Cryptosporidium. Stage #4 - Five Micron Carbon Post-Filter (105341) which is used as a final polishing filter. It is important that this system is properly installed and maintained with an incoming water pressure of 40 to 80 psi for it to operate as designed. The filtered water passes through the membrane and enters the storage tank. When you're ready for a taste, it will leave the storage tank and pass through the fourth stage on its way up to the faucet. The end result? Crystal clear, high quality, and great tasting water! In the Box: RO Pure Reverse Osmosis module (pre-installed filters), Parts Bag, 3 Gallon Storage tank, Faucet, and installation instructions (manual).